Voice search technology presents a significant change in the way we communicate and process information digitally speaking. 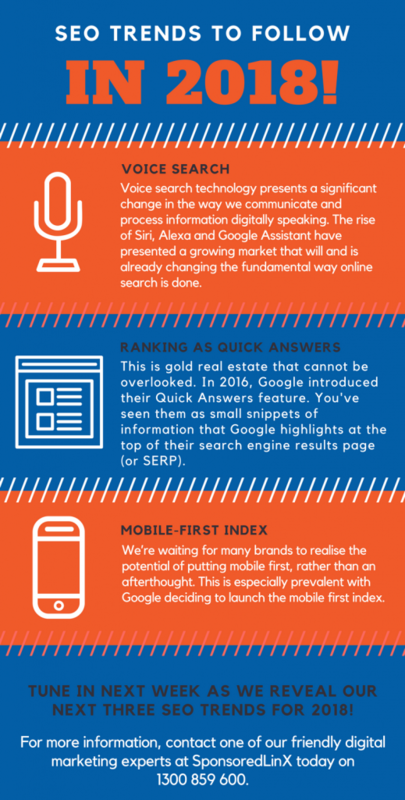 The rise of Siri, Alexa and Google Assistant have presented a growing market that will and is already changing the fundamental way online search is done. In fact, as of now, 1 of 5 searches have come from voice queries. While Siri used to only tell you the weather, what time it was, and how hot it was in Bangkok, she can now recommend good sushi restaurants and where to get your haircut. This improved accuracy means more people using voice search from their smartphones to look for quick and relevant answers. It now becomes important to research the voice users intent, providing more accurate results and assisting the algorithms in providing the best answers. Voice search is also expected to grow with integration in smart home hubs, assisting companies to access new data. As digital assistants go beyond smartphones, there is a fantastic opportunity for both SEO and content, taking advantage of a growing market that connects your brand with new users in a unique but still relevant way. This is gold real estate that cannot be overlooked. In 2016, Google introduced their Quick Answers feature. You’ve seen them as small snippets of information that Google highlights at the top of their search engine results page (or SERP). A user doesn’t have to open the link to see content contained on a webpage. Rather, Google extracts a summary answer as a block of text from a relevant website. Over time, that answer may change as Google is constantly working on providing users with the best answers to their questions. We’re waiting for many brands to realise the potential of putting mobile first, rather than an afterthought. This is especially prevalent with Google deciding to launch the mobile first index. A recent study by BrightEdge found that over half of all web traffic comes from mobile devices. Not only that, but there’s a big difference in the way that keywords rank on a phone compared to a computer. Mobile optimisation for local users, as well as the aforementioned voice search surge, can form the groundwork for your business SEO strategy in 2018, by facilitating your content through personalised and relevant answers. Search engines are constantly evolving, so you best jump on these SEO trends now before they change again! It’s useful to stay up to date with the market to learn and discover the best ways of maintaining a high search engine ranking. At SponsoredLinX, we have a free e-learning hub designed just for this purpose. Tune in next week as we reveal our next three SEO trends for 2018 or watch our webinar with all of our predictions right here!